Say No! to ugly and bulky water tanks. 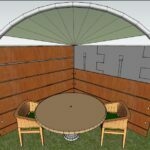 Create beautiful outdoor structures that store water and are useful long after the skies have cleared. Pick a template from our building guide or create your own unique design. Click the images below for more detail. 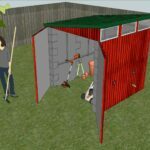 600 Gallon Water Shed - Get ready to tackle those weekend projects! 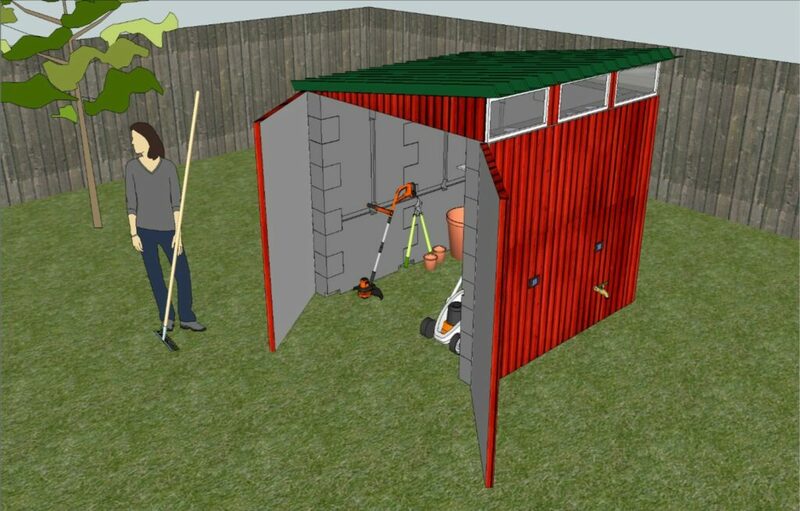 Store your tools, water, and cover to match your home. 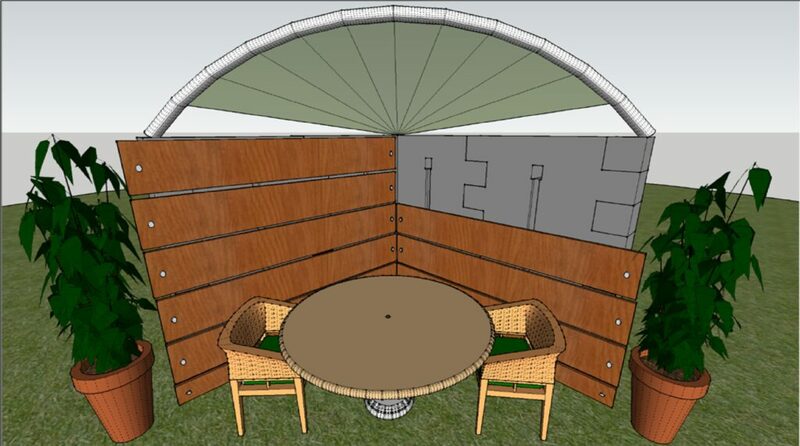 Shown is 7'x7' (outside diameter) configuration using 12 Rain Blocs. 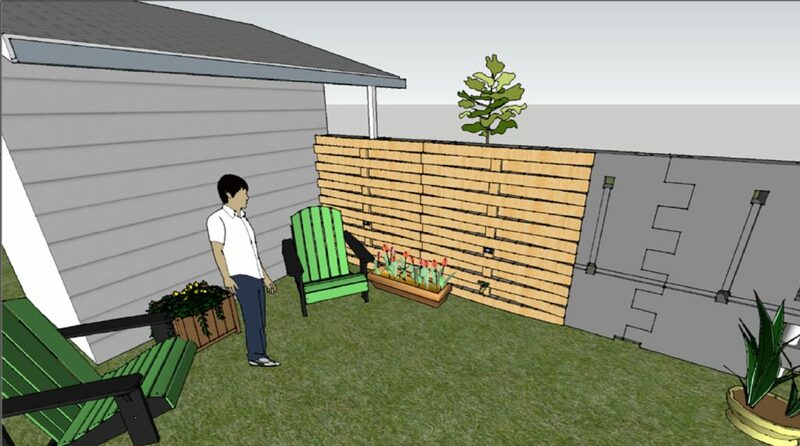 400 Gallon Garden Nook - Create a quiet place to drink your morning coffee. Shown are two 7' sections using 8 Rain Blocs. 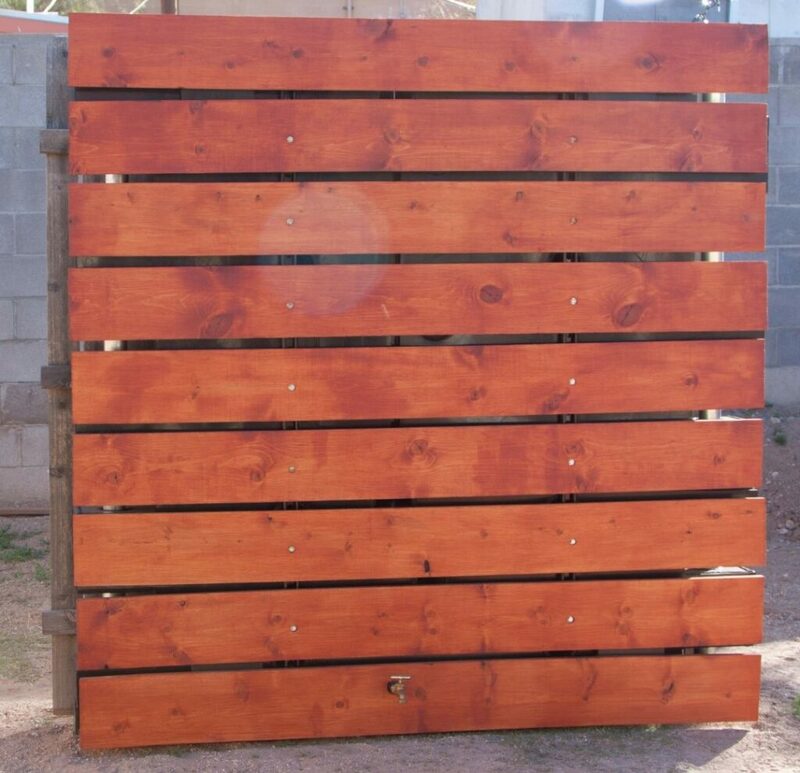 400 Gallon Fence - Transform your back yard into a dream space for outdoor entertaining. 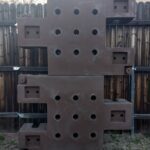 Shown are 8 Rain Blocs that create a 6'x15' barrier. 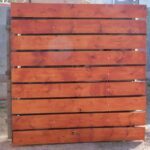 Rain Blocs - Covered with stained wood slats. 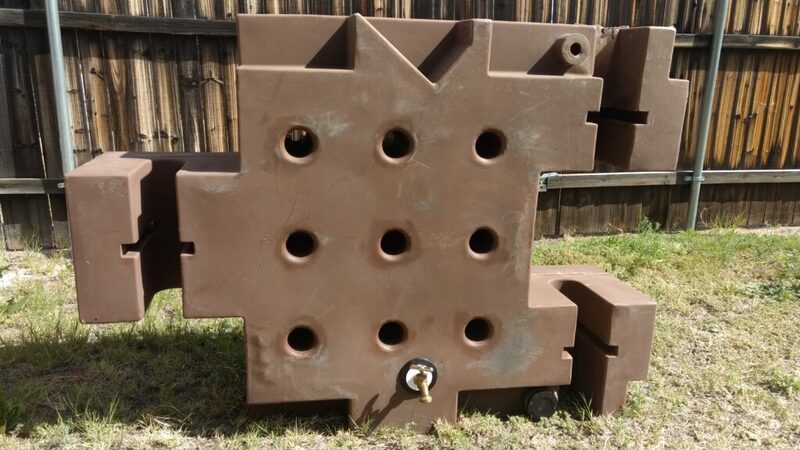 Rain Blocs are a patented modular water storage tank with added utility. Each Rain Bloc 1/4" food grade HDPE with dimensions 4'x1'x3' and holds 50 gallons. 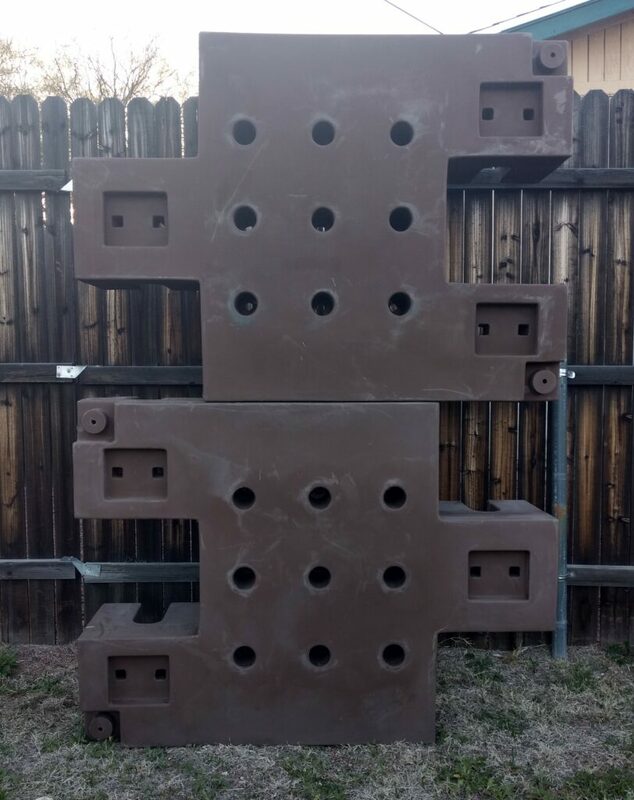 Rain Blocs Stack to 6ft. and are designed to be used in multiple configurations. 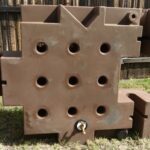 Additionally, Rain Blocs can be covered with almost anything to hide from view and give design flexibility in reaching water storage goals. 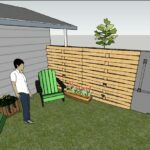 Learn more about creating beautiful and useful rainwater harvesting structures.